Crystal River Watersports received designation on February 11 as a Guardian Guide under a new program established by Save the Manatee Club and the Manatee Ecotourism Association (META). The Guardian Guide program sets principles to provide sustainable, world-class ecotourism opportunities for in- and on-water visitors to Crystal River that promote stewardship of manatees, their aquatic ecosystem and the surrounding spring shed. 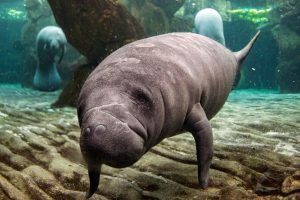 Create stewardship among guests and the manatee ecotourism community by encouraging guests to support manatee conservation efforts, engaging guides in community service that benefits Kings Bay, and by donating $1 from every guest to aquatic habitat protection and restoration within the spring shed. The Crystal River Watersports staff conducts and attends training on manatee biology, physiology, and the recognition of illness and injuries. The Captains and Guides assist with the identification and documentation of ill manatees, their rescue, release, and the annual health assessments. Donations have assisted with King’s Bay area cleanup as well as youth education in environmental and marine science. Crystal River Watersports is looking forward to a mutually beneficial partnership with Save the Manatee Club in support of our mutual goal of having all guests have a sustainable world-class eco-tourism experience that results in manatee and marine advocates.